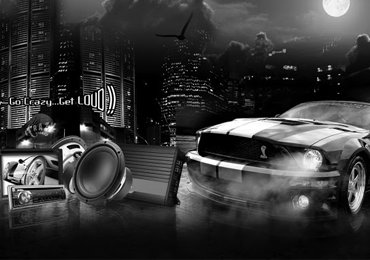 Crazy Stereo is an authorized dealer for the top names in Car Audio and carries over 100 brands of car audio products. 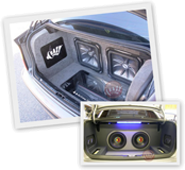 At Crazy Stereo™, we understand that your vehicle is an important part of your world. It is our mission to provide you with aftermarket solutions that suit your lifestyle through convenience, style, safety and technological connectivity. We are Orange County’s premiere destination for quality products installed by our highly trained staff, on any budget. Our goal is to provide a variety of specialty-products and services from entry-level to high-end products to fit everyone’s budget and needs. Our company is successful today due to our well trained staff members and the high quality products and services we offer. Crazy Stereo has been a member of the Better Business Bureau (BBB) and the Bureau of Electronic and Appliance Repair (BEAR) since 2003. We are also an AUTHORIZED DEALER for all top of the line major name brands. It is very important to purchase your product from an authorized retailer. Just Some of the Reasons to Pick Crazy Stereo. • Guaranteed to beat any advertised price by any competitor* • The largest selection of quality name brands in Orange County • Highly trained and experienced sales & installation staff dedicated to providing top customer service • Interactive product displays in our showroom feature the latest in-vehicle technology • Same-day installation in most cases No appointment necessary, but we are happy to schedule one for you • Lifetime warranty on labor, and manufacturer’s warranty on product • Authorized dealer for all merchandise we sell • FREE diagnostics & • FREE estimate on any sound / video / security / navigation system repair, even if you didn’t buy it from us All merchandise is brand new; we do not sell refurbished products • Up-to-the minute technical databases, cutting-edge tools and equipment • Instant financing up to $25,000 with no down payment, no monthly payment and 0% interest for up to one year on approved credit.